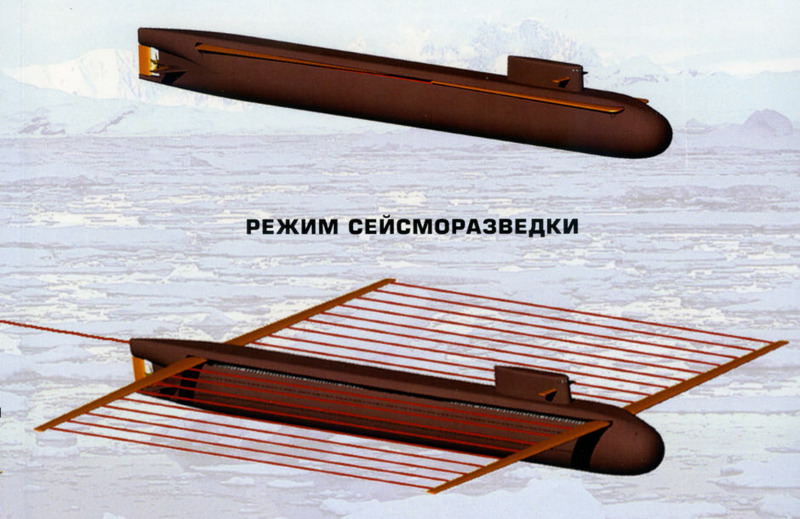 This is a unique submarine concept developed by the Rubin design bureau. It is designed to conduct sub-bottom surveys using very low frequency active sonar which can penetrate the sea floor. The receivers for this sonar are mounted on distinctive wing-like structures which project from the sides of the submarine. It’s a large submarine, somewhere between a nuclear attack submarine and a ballistic missile submarine. 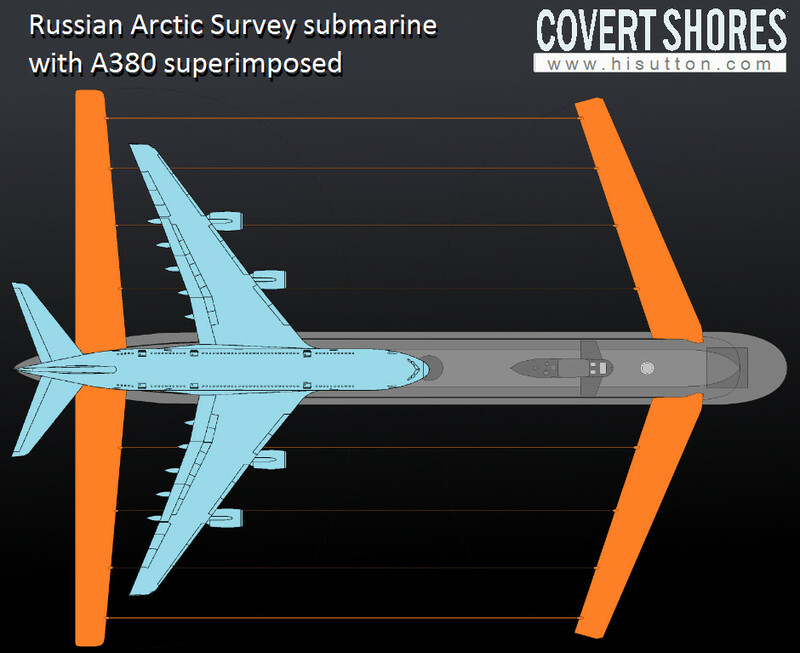 And the wings are approximately 45m (145 ft) long so the overall width of the boat, with wings extended, is around 100m (330 ft). 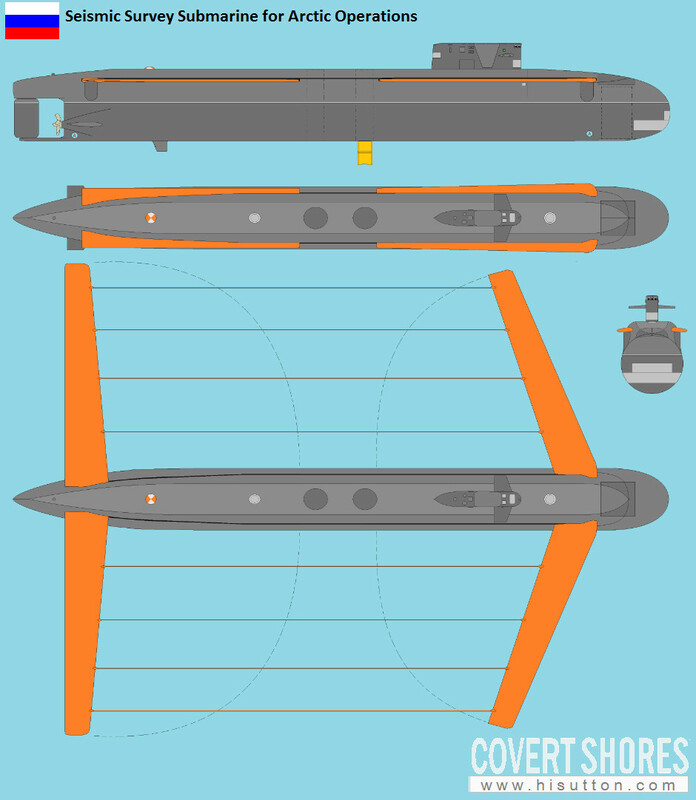 Despite their appearance, the ‘wings’ are unlikely to actually have a lift effect on the submarine. 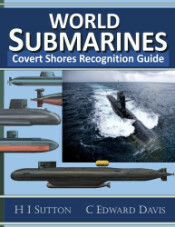 Water is a lot like air (reference fluid dynamics), but submarine use their displacement instead of lift to change their depth (think of an airship in reverse). A submarine however wants to remain at a stable depth. Using wings (termed hydroplanes) to regulate depth uses a lot of energy and creates flow noise which is not ideal for sonar use. Additionally, suddenly diving can be dangerous. So the sonar ‘wings’ would logically be designed to have no effect on depth. 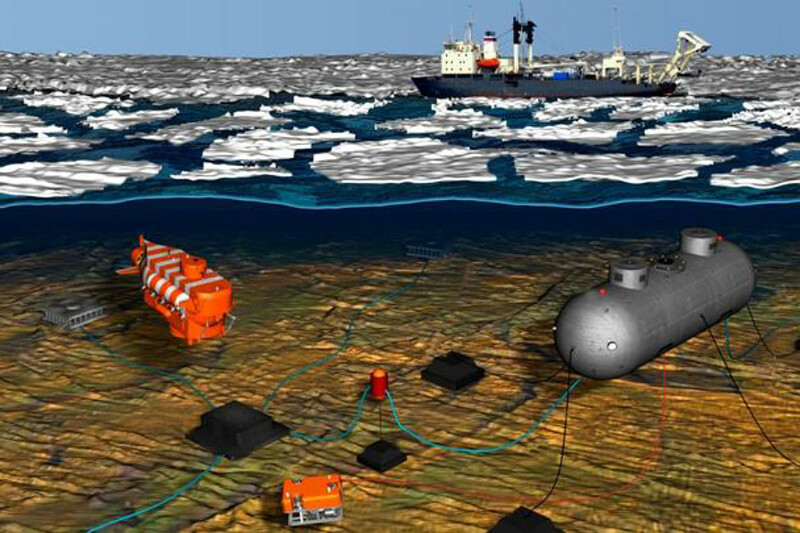 Sub-bottom sonar surveying would allow the optimum placement of objects on the sea floor, such as drilling rigs and anchors for underwater nuclear reactors. In the defense context, it could detect buried objects and help placement of military sensors or communications. Talking to Russian media in April 2017, in Chief Designer CDBMB Eugene Toporov of Rubin is quoted as saying that construction will start in 2020. The boat will cost approximately 40% of a regular ‘combat submarine’ thanks to the lack of weapons systems, although this estimate appears open to challenge. 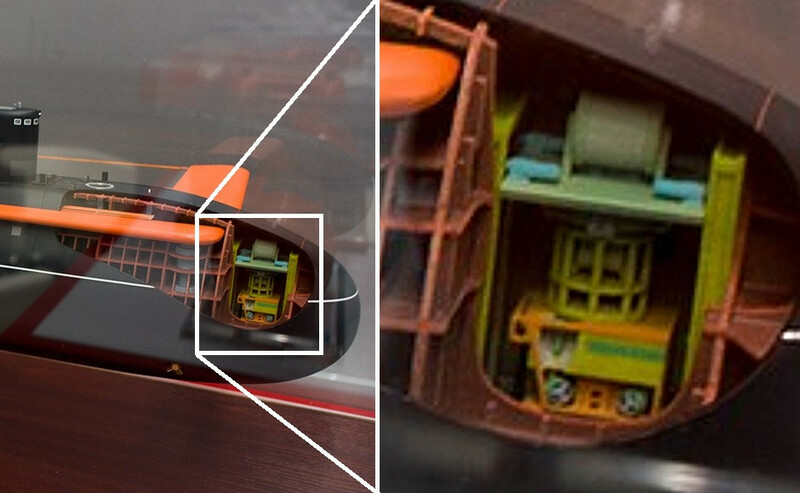 Note that the extended wings on the model are only about half length. 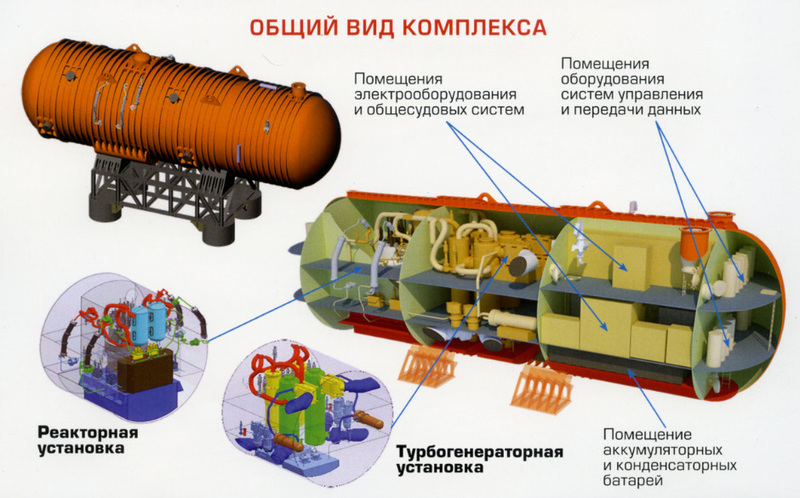 I have not been able to positively identify the ROV in the design model but it is possibly a Russian design based on existing Western ROVs already in service with Russia. These are mostly British in origin, such as the Hydrovision Venom, Perry-Slingsby Triton-TXLX and SeaEye Tiger. The Seismic Survey submarine will operate as part of a wider ICEBERG network of underwater components for hydrocarbon and mineral extraction. 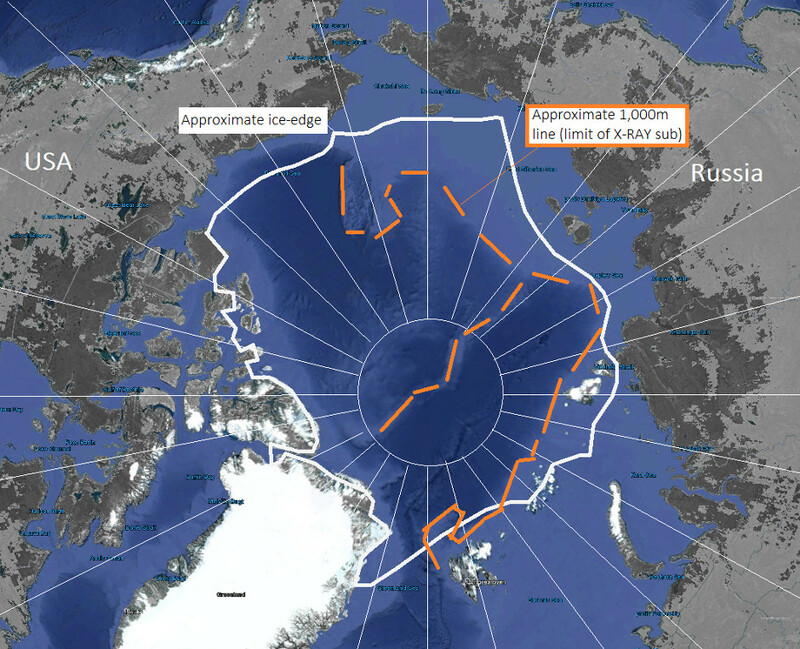 The ICEBERG project to explore potential hydrocarbon technologies in the arctic is funded by the Foundation for Advanced Studies, and has been reported in Russian media for some time and was showcased at the Arctic – Territory Dialogue (Арктика - территория диалога) exhibition in Arkhangelsk, Russia, in March 2017. Other components include autonomous nuclear power plants, AUVs (Autonomous Underwater Vehicles, aka UUV in Western parlance) and drilling rigs. 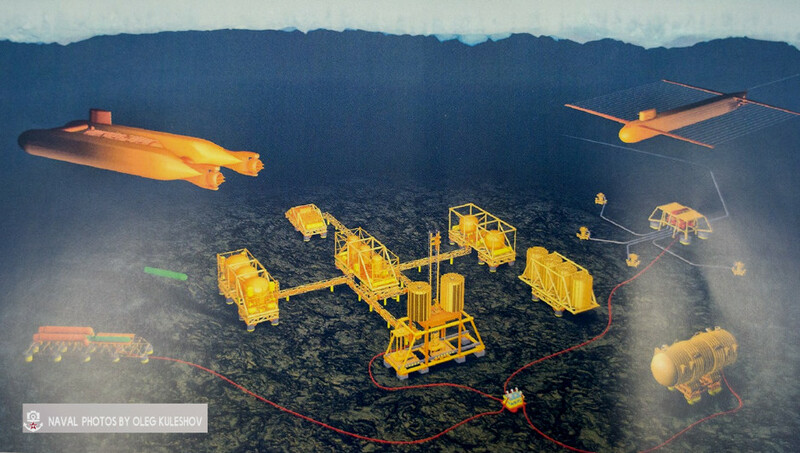 The Seismic Survey submarine can be seen top right. The twin hull lifting submarine (left) does not appear to have been pursued. 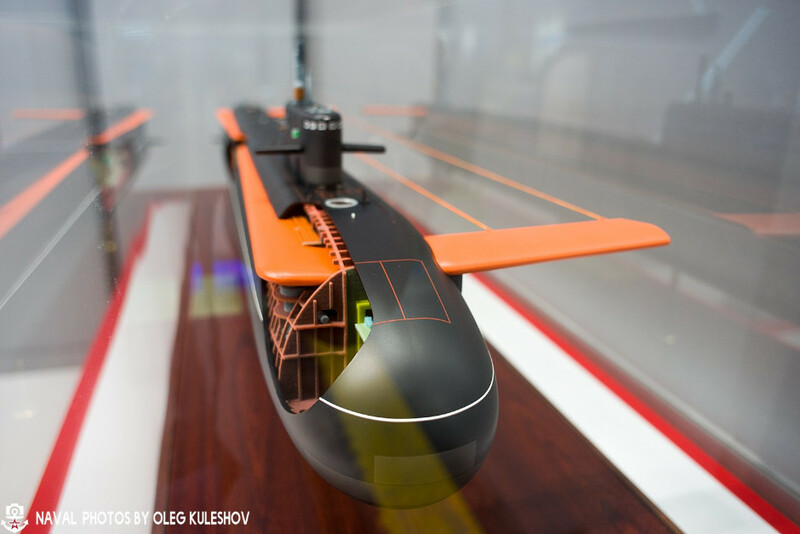 Although the role of the new submarine is positioned as purely civilian, even Russian State Media points to military applications. 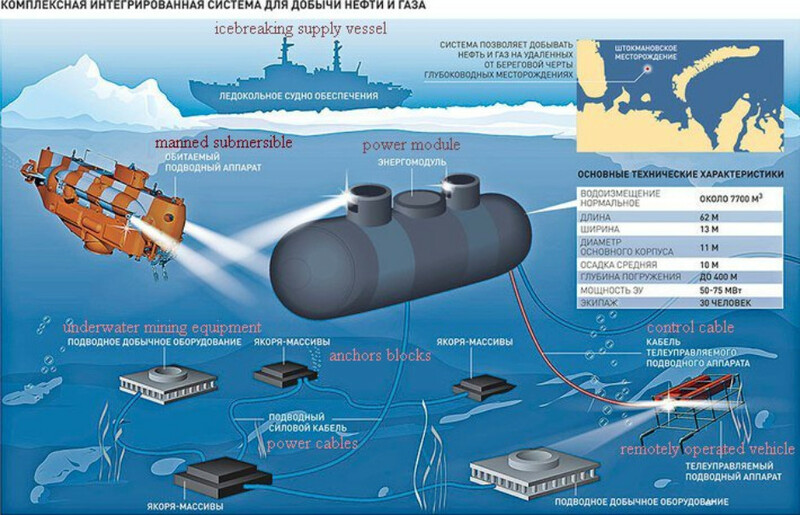 For example assisting with sea-floor terrain maps to aid navigation and positioning of elements of the new HARMONY (Гармония) underwater sonar tracking system, some of which Russia intends to place under the arctic (example izvestia.ru (In Russian)).